It Still Isn't An Exact Science! As if to demonstrate the fallibility of human forecasts this season's weather patterns zigged when just about everyone thought they would zag. 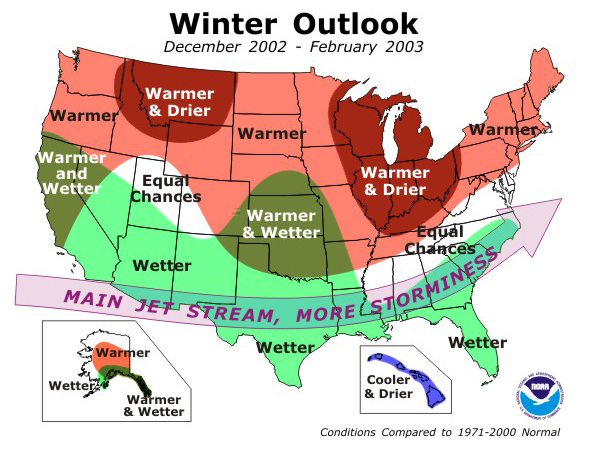 The NOAA Winter Outlook for December, January and February 2002-2003 was largely predicated on the expected impact of a "typical" El Nino. 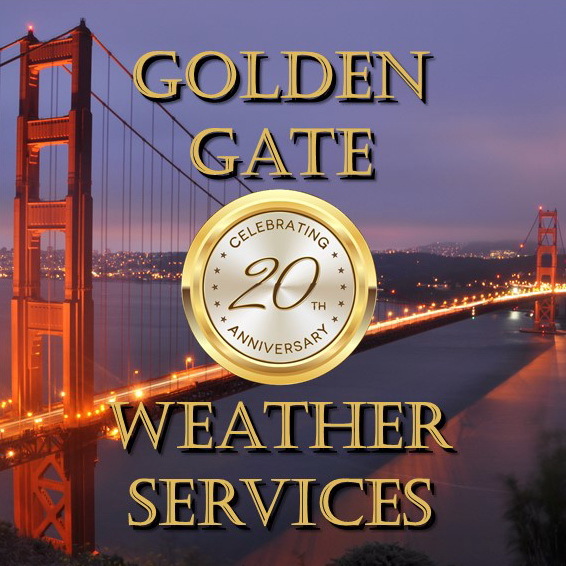 However other forces in the atmosphere have given us an outcome that is much different than the forecast. Figure 1 shows the Winter Outlook issued by NOAA in early December calling for generally warmer and drier conditions across the northern tier of the United States and wetter than normal conditions across the south. This pattern is what could be expected during a year when El Nino behaved in a typical manner. Contrast this to Figure 2 which shows that the West was in fact warmer and the East cooler than normal this winter and Figure 3 showing that winter precipitation was generally near normal without the large wetter than normal "El Nino signature" across the southern states.